Tom Changnon was elected Stanislaus County Superintendent of Schools in November, 2006 and sworn into office on January 9, 2007. As Superintendent, he oversaw the Stanislaus County Office of Education (SCOE) with a staff of 1,100 and a budget of over $250 million. SCOE provides direct instructional programs and support services to the 25 school districts in Stanislaus County. This includes 188 schools and over 105,000 students. The office also provides regional programs and services in a seven-county area. A graduate of Stanford University, Changnon was drafted by the Houston Astros professional baseball organization following college. He played minor league ball for two years before an arm injury ended his pitching career. It was a local high school principal that led him into teaching through a baseball coaching position. According to Changnon, the rest is history. “I knew after being around young people that I wanted to pursue a career in education,” he said. Changnon began his teaching career in 1975 at Fremont High School and shortly after moved to the Central Valley to begin teaching at Beyer High School. Through the years he taught Economics, Government, American History, and served as Activities Director. He also taught Special Education classes to students with a wide range of developmental challenges. Changnon continued to coach baseball and basketball during his teaching career, and also did a stint as a professional baseball scout with the Cincinnati Reds and Los Angeles Angels Organizations. Although he enjoyed the classroom, Changnon eventually entered the field of school administration and held positions as Assistant Principal, Principal, Assistant Superintendent and Superintendent in Stanislaus County School Districts. Under his leadership at Keyes, the District passed two school bonds, and built a new state-of-the-art middle school. In partnership with the County Office, they were also able to build a new Head Start facility and implement the first-ever Head Start program in the district. Changnon is known as an innovative thinker and was tapped to serve on the California Department of Education initial Charter School Committee for three years. He was also responsible for creating charter schools in the Keyes area which have been recognized statewide as outstanding schools. Since taking office in 2007, Changnon has championed Civics Education, Character Development, Parent Involvement and Career/Technical Education programs in the County. He has led a two-year county-wide campaign to improve student attendance (Every Day Counts), with 17 school districts improving attendance rates the first year and an additional 8 the second year. He also led a two-year county-wide campaign focused on health and fitness issues called, Fit for the Future. This campaign was lauded by the Governor’s office as a model for the state and Stanislaus County was named;County of the Year in the Governor’s Fitness Challenge two years in a row. From 2010-2013 Changnon focused on promoting the importance of civility in a world becoming less civil and continues to encourage students, parents and community members to choose positive and respectful behaviors in their personal and work lives. The county-wide effort was called, Choose Civility which spread to nine other counties! While Superintendent of Stanislaus County Schools, Changnon focused on increasing graduation rates in Stanislaus County. The initiative was called Destination Graduation. The County Office has also been appointed to lead the Governor’s Arts Initiative. The County Office of Education is currently working with the Stanislaus Community Foundation to promote a new countywide initiative called Cradle 2 Career. This new movement begun to spark interest among families and business leaders in Stanislaus County. Changnon holds two Master’s Degrees and has received numerous awards including the Association of California School Administrators Bill Ullom Award in 2004 and Superintendent of the Year Award in 2010 and 2018 and the Chamber of Commerce Robert Cardoza Citizen of the Year/Lifetime Achievement Award in 2018. In 2017, Tom served as President of the California County Superintendents Educational Services Association (CCSESA) comprised of the 58 county superintendents. He was the spokesperson for California at numerous national conferences and speaking engagements throughout the year. He has served on a number of local, regional, and state committees and currently serves on the CCSESA Executive Board. He is also currently a member of the Workforce Alliance Board, Stanislaus Partners in Education, and serves as Chief Executive Officer of the Education Foundation of Stanislaus County. Tom resides in Modesto with Dianne, his wife of 43 years. After serving 12 years, he recently retired from serving as the Stanislaus County Superintendent of Schools. They have two adult children, Garrett and Gabrielle, who are both school teachers and their spouses are educators as well. Tom and Dianne are proud grandparents of four small grandchildren. On January 24, 2014, Pope Francis appointed Msgr. Myron J. Cotta from the Diocese of Fresno as the fifth Auxiliary Bishop of Sacramento and ordained by Bishop Jaime Soto in the Cathedral on March 25, 2014. He grew up the Merced County community of Dos Palos and attended public and Catholic schools in the area. He later attended West Hills Junior College and entered St. John’s College Seminary in Camarillo, California to finish his undergraduate studies and continued at the major seminary, where he finished his theological studies and received his Master’s Degree in Divinity. He was ordained to the priesthood for the Diocese of Fresno on September 12, 1987 and served in various assignments in the Diocese of Fresno. From July 1999 until his appointment to the Diocese of Sacramento, he served the Diocese of Fresno as Vicar General, Moderator of the Curia, Vicar for Clergy, Director of Continuing Education of the Clergy, Supervisor of the Safe Environment Program and Director of the Propagation of the Faith. Terry Withrow has lived in the Modesto area most of his life. He attended St. Stanislaus School and Central Catholic High School. He received his Bachelor of Arts in Business Administration with a Concentration in Accounting from California State University, Stanislaus in 1982. He became a Certified Public Accountant in 1984. Withrow Koftinow & Baggett, LLP is a full service accounting firm located in downtown Modesto that is committed to delivering value to businesses and individuals. WKB has been serving the Central Valley since 1990. He also farms almonds and grapes. Terry has been active in our community over the last 30 years. He helped found St. Luke’s Family Practice and the Stanislaus County Farmland Trust. He is also a past board member of Woodland Avenue Fire District, Gallo Center for the Arts, Central Catholic High School and the Stanislaus County Assessment Appeals Board. Mr. Withrow began his first term as Stanislaus County's Supervisor for District 3 on January 4, 2011. Terry and his wife, Christen, have four children: Michael, Jenavieve, Molly, and Emma. He is a member of St. Stanislaus Catholic Church. 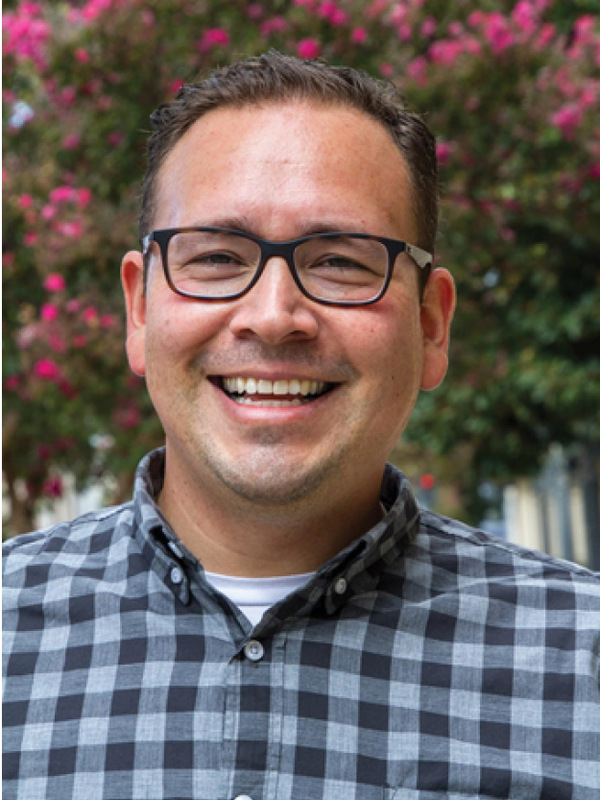 Andy Rivas recently begun in his new position as the Executive Director of the California Catholic Conference of Bishops, the public policy arm of the Catholic Bishops of California. As Director, he leads a staff of 10 in implementing the public policy agenda for the 25 California archbishops on a wide variety of health, economic, social service and educational issues, laws, and regulations at both the state and federal levels. Andy brings more than twenty years of leadership and ministry experience to CCC, most recently as the Director, Office of Government & Community Relations for the Archdiocese of Los Angeles. Previously, he served as Executive Director of the Texas Catholic Conference; Policy Advisor in Domestic Social Development with the U.S. Conference of Catholic Bishops; as an Advocate for Catholic Charities USA in Alexandria, VA.
Rivas earned a Bachelor of Arts degree from UCLA and a law degree from Catholic University in Washington, D.C. He has served on numerous boards and committees. I am proud to say I am a true Californian, born and raised in the Central Valley. After graduating from Central Catholic High School and Modesto Junior College, I earned a BA in Fine Arts after transferring to the University of the Pacific. From there I entered California State University Stanislaus where I earned my MA in Art Education as well as my life credentials in secondary fine arts and administrative services. While attending the University of the Pacific I completed my student teaching at Amos Alonzo Stagg High in Stockton California. I found the students excited, engaged and starving for direction, discipline and the creative spirit of my class. It was then that I decided this had to be my vocation. The next year I landed a part time job as the art teacher at CCHS. During my third year of teaching I entered an administrative credential program. Here now, some 42 years later, I find myself as president. I am humbled, honored and blessed to be in this position. I love the students, our staff, the parents and the CC community. This is why I juggle teaching art, coaching golf and moderating the Interact Club while leading our school as President. If the truth be told, upon graduating from CCHS in 1972 – I had no intention of returning as a staff member. I loved my experience as a student – but it was time to move on. Today I realize it is truly a calling and a ministry to serve our students. This calling coupled with the purpose of our school draws me back every year. I believe students today are “starving for leadership” and I believe we have a chance to offer that leadership in a family environment that truly honors the individual – hence our mission is to witness to the Gospel while building an educational community that inspires the spiritual, academic and social development of young adults. As president of Central Catholic, it has been a pleasure to lead the vision, campaign and build out of the Mark Gallo Health and Fitness Center – truly a unique facility in secondary education. Students, staff, families and the community at large will enjoy its beauty and support for many years to come. Today the core values of Central Catholic High School include Faith, Academic Rigor, Family, Community and Integrity. They rest on the foundation of our Mission – to witness to the Gospel while building an educational community that inspires the spiritual, academic and social development of young adults. I look forward to sharing my story with you on Tuesday. Fr. Misael was born in Coalcoman Michoacán Mexico August 17, 1966. He emigrated to Modesto with his family in 1982. He graduated from Thomas Downey High School and Modesto Junior College. He attended the seminary in Tijuana Mexico and was ordained a priest for the Diocese of Stockton on August 15, 1998, recently celebrating his 20th anniversary as a priest. He’s currently assigned to St Frances of Rome Church in Riverbank and been there for seven years. He loves being a priest! Fr. Misael will speak on immigration. Nichole Sablan has over 19 years of psychology and counseling experience while spending twelve years of her professional career at Ceres Unified School District. She holds a B.A. in Psychology and a MA in Education with Pupil Personnel Services (PPS) Credential in School Counseling (both from CSU Stanislaus) as well as a (PPS) in School Psychology (from CSU, Sacramento). She has taught within the School Counseling Department at CSU, Stanislaus and the School Psychologist Department at Brandman University. Nichole is currently working on her internship hours to be a Behavioral Board Certified Licensed Professional Clinical Counselor and volunteers at Catholic Charities. Nichole serves in several ministries at her home parish of St. Joseph's, is a co-founder of the World Ablaze apostolate (www.world-ablaze.com), is a Third Order Dominican and currently in the permanent diaconate formation process with her husband John. A convert to the faith, Nichole believes her Catholic faith has been the best gift she has received and gives to her three children. Nichole's greatest gifts in life are her faith, her husband John, and their three precious children Brya, Keoni and Miko. Terry Barber is an international speaker and has been instrumental in founding three Catholic organizations - Saint Joseph Communications, The Catholic Resource Center, and Lighthouse Catholic Media and is a co-host for The Terry and Jesse Radio Show on Immaculate Heart Radio as well as Reasons for Faith Live with Jesse Romero on EWTN Radio Network. St. Joseph Communications is the largest international Catholic audio and video reproduction and distribution company in the United States with distributors in Canada, England, Australia and the Philippines. He has over 30 years experience in evangelization in the Catholic Church; his two most influential talks today are The Ten Commandments of Evangelization and The Five Reasons to be Catholic. His most recent book “How to Share Your Faith with Anyone” was published by Ignatius Press October 2013 with endorsements from the Archbishop of Los Angeles, Most Rev. Jose H. Gomez, author/speaker Stephen Ray and Catholic Answers President Karl Keating. He is a true pioneer of Catholic evangelization and currently lives in So. California with his wife and four children. Terry has recorded numerous podcasts on Saint Joseph Podcasts called Culture Warriors for Christ and God Love You, addressing all the social issues affecting our culture today. He has over 30 years experience in evangelization in the Catholic Church; his two most influential talks today are The Ten Commandments of Evangelization and The Five Reasons to be Catholic. Terry Barber is from Los Angeles, CA . He is a true pioneer of Catholic evangelization. He has been instrumental in helping promote Catholic radio since the 1980s, at which time there were only 5 Catholic stations across the country, and he currently co-hosts Reason’s for Faith Live on EWTN Radio with Jesse Romero, which is heard on over 170 Catholic radio stations around the country. Terry is the founder of St. Joseph Communications and the Catholic Resource Center; the co-founder and Chairman of the Board of Lighthouse Catholic Media and he has hosted countless conferences. Terry has touched millions of lives through CD evangelization, and in the past 31 years he has distributed over 25 million inspirational Catholic audio CDs and DVDs. If you have ever listened to Dr. Scott Hahn, Jesse Romero, Steve Wood, Steven Ray, Tim Staples or Dr. Michael Barber you have indirectly been influenced by this man through his ministry. Terry is married, and he and his wife Daniel have 4 children, and before working full time to promote the Catholic Faith he was one of the top real estate producers in the state of California. Terry has come to share his enthusiasm and to encourage us to embrace our calling as Catholic men and women to share the Good News of Christ and the Catholic Faith with our family, friends and the whole world, Terry and his wife, Danielle, have been happily married for 21 years. Join us April 10, 2018 when our featured speaker will be Matt Riley. He is currently a lecturer in history at Cal State University East Bay, Hayward campus, where he has taught for the past three years. He has also taught a variety of history courses at the University of the Philippines in Visayas, Miagao, Iloilo from 2013-2016. Prior to pursuing his second career as a history instructor, Mr. Riley served as the Corporate Manager and Director of Training for Piedmont Lumber and Mill of Pleasant Hill, CA. He worked for the company for 24 years and was responsible for management of the large wholesale facility with a staff of 50 and annual sales of $25 million. As Manager of International Division he set up a satellite office in Odessa, Ukraine and negotiated contracts with Ukrainian businesses. Mr. Riley will be sharing his experiences in the Philippines including the organization of several medical missions coordinated with the Dominican Sisters. Fr. Ronnie was born in Masbate, Philippines and his family now lives in Cebu, Philippines. He is the sixth child of 11 children—6 boys and 5 girls. After high school at 17 years old, he joined a religious Congregation called Missionaries of the Poor, in Jamaica and stayed in that congregation for almost 9 years. He left that Congregation for the U.S., and applied to be a seminarian for the Diocese of Stockton. In January 2008, he was accepted to the Diocese of Stockton to be a seminarian. He studied Philosophy at Mount Angel Seminary in Oregon, and the following year 2009, he studied Spanish at Delta College in Stockton. In 2010, he went to study Theology at Saint Patrick’s Seminary in Menlo Park, CA. On May 13, 2016 he graduated from Saint Patrick’s Seminary and was was ordained to the priesthood on May 21, 2016. He was then assigned at Saint Bernard’s Church in Tracy and was recently assigned to Our Lady of Fatima in Modesto. There have been many obstacles in his vocation to the priesthood, even to the point of somewhat fighting with God (Acts 5:38-39). But through it all, he really believes that his vocation is definitely from God. He is so happy that God brought him to Stockton and that the Diocese of Stockton has given him another chance to study for the priesthood. Ned Dolesji is the Executive Director of the California Catholic Conference of Bishops, the public policy arm of the Catholic Bishops of California. As Director, he leads a staff of 10 in implementing the public policy agenda for the 25 California archbishops on a wide variety of health, economic, social service and educational issues, laws, and regulations at both the state and federal levels. As Catholic Americans, we have the dual call of faith and citizenship. Ned will provide us with information on Religious Liberty issues. Sue Garcia has resided in Stanislaus County since 1978. Her background is in Human Services, which over the years led her into the fields of probation, foster home care and boys town of the desert. Sue is an active member of the Stanislaus County Suicide Prevention Advisory Committee and supports the Modesto-Riverbank Chapter of Compassionate Friends, an organization which supports persons who have experienced the loss of a child, grandchild or sibling. She is a Grief Support Specialist for Community Hospice, a career which began 30 years ago. She has worked for Community Hospice for 20 years and also held a position at Hospice of Emanuel in Turlock, CA for 10 years. She is also certified in critical incident debriefings. Sue will speak on “Hospice Bereavement Services” and will share how she has incorporated her faith into her work. Marian DeGroot Graham is no stranger to education, having spent over 30 years in the field. Marian is also no stranger to Catholic education. Marian attended St. Anthony’s School in Manteca from grades one through eight, she taught at St. Bernard’s School in Tracy for nine years, and then she served as the principal of Sacred Heart Catholic School in Patterson for seven years. In 2001, Marian pursued her dream of travel and education and accepted a position at Singapore American School in Singapore, Southeast Asia. After 13 years overseas, she is happily returned home. Marian served as the principal of St. Stanislaus Catholic School for two years prior to being appointed as Director for Catholic Schools in the Diocese of Stockton. Marian holds a Masters degree in Educational Administration from St. Mary’s College of Moraga, California as well as a Bachelor’s degree from the same institution. She also holds three California teaching certifications: Professional Clear Multiple Subjects Credential, Professional Clear Single Subject Credential: English (NTE), and Professional Clear Administrative Credential. John is a career U.S. Air Force pilot who served from 1963 until he retired in 1989. He owns an air charter service at the Modesto Airport, is president of the United Samaritans Foundation and the Mary Stuart Rogers Foundation. In addition to his community service with both foundations, John is active in his church community, participating in the choir and lecturing, and a member of the 4th Degree Knights of Columbus. John is an active member Toastmasters International, and enjoys traveling, playing golf and fishing whenever time allows. He earned his bachelor’s degree from Willamette University in 1963, before entering the Air Force, and received his master’s degree from the University of Colorado. John and his wife, June, live in Hughson where they grow almonds, grapes and are devoting their time and resources to the needs of others. Pete is passionate about people and their potential to excel in life. He began his career with Campbell Soup Company, where he found his passion to lead people individually and also in groups. During these formative years in his career, Pete learned the value of building trusting relationships. To this day, he believes that developing trusting relationships is the name of the game. Those who work with Pete will recall his drive towards truth in every encounter and his commitment to candor and desire to confront the operating and financial reality of every business and personal interaction. Pete views NextStep as the logical progression of his commitment to foster economic development and community development through the business success of NextStep clients. Pete has seen how sustainable business profits lead to NextStep clients hiring and training additional employees and promoting others to fill more responsible, higher paying jobs in the firm. That business expansion leads to community development in many forms such as the support of the arts; participation on non-profit boards; and the generous monetary donations to other worthy projects. Pete is fiercely committed to community as evidenced by the fact that he has served as the founding president or board member of over 15 organizations such as; The Hospice Foundation, St. Luke’s Family Practice, and Commonwealth Modesto. Commonwealth is the brain thrust of both Pete and Bob and is designed to help emerging young leaders vet themselves by tackling tough community projects and issues. During his time career, Pete has mentored over 150 young men and women on attaining career and personal balance in life. He cherishes those friendships to this day. Pete's life is guided by his strong Catholic faith and is a parishioner at St. Joseph’s. He is married to Marcia (1983), who has built an award winning graphic design studio herself called Marcia Herrmann Design. Pete and Marcia have two beautiful children; Timothy (1986) and Leslie (1989). Pete loves outdoors activity, he is fascinated with US history, and he would love to one day semi-retire and split his time in Kauai, traveling in Europe, South America and ballparks around the United States – preferably when the SF Giants are in town. Fr. Michael Brady: Fr. Michael who was ordained in 2000 as a Diocesan Priest, was assigned by Bishop Stephen Blaire to Central Catholic High School as Chaplain in August of 2006. Since joining Central Catholic he has inspired students and staff in their ministry and student life. Spirituality through athletics has a home at CCHS thanks to Fr. Brady. Recently Fr. Michael secured the “Play Like a Champion” program from the University of Notre Dame. With his leadership a number of staff members have been trained in this program to become advocates and leaders of its philosophy and objectives in sports at CCHS. Daniel Menezes: Daniel is a graduate of Central Catholic High School, Class of 2012. Upon graduation from Central Catholic, Daniel joined the National Evangelization Team (NET) and traveled throughout the United States ministering to young people. In 2016 Daniel returned home and joined his old high school as Campus Minister. In his role as Campus Minister he leads the school’s Senior Ministry Team while also leading student retreats and monthly liturgy. He also counsels students in their faith journey. Daniel was one of two staff members who attended the summer 2017 Play Like a Champion Training Session at Notre Dame. Jessica Jordan: Jessica Jordan joined the Central Catholic High School staff as a member of the FFA/Agriculture Department in 2016. Originally from Hilmar, Jessica attended Texas A & M where she graduated with a degree in Agriculture Science. Prior to attending Texas A & M, Jessica was on the National Evangelization Team (NET) where she too ministered to students throughout the United States. Currently Jessica teaches in the Agriculture Department at Central Catholic High School while also sharing her passion for her faith. She joined Daniel this past summer being trained in “Play Like a Champion” at Notre Dame. Born and raised in El Salvador, he graduated as a Mechanical Engineer from the Catholic University of El Salvador. He has spent his entire professional career, over 30 years, in the Applications Development side of Information Services, with the last 25 years working for E & J Gallo Winery. José received the Sacrament of Holy Orders in the Order of the Permanent Diaconate at the Cathedral of the Annunciation in Stockton in 2003. Besides his busy schedule at work, Deacon José has an active participation in the life of the Church at St. Stanislaus Catholic Community here in Modesto as well as in the Diocese of Stockton. Deacon José and his wife Margarita have been married for 35 years and, as he would say, they have been dating for 38 years. They have three children and two grandchildren. Deacon José will share an intimate and personal testimony of the experience on his mother’s death and how, with faith in the Holy Trinity, the joy of the resurrection came alive in his experience. John Abbate has three passions — Faith, Family, and Business. Over the last two decades he has become acutely aware of the challenge associated with balancing God’s desire for us to live an authentic Christian faith life, while navigating through the secular demands of a successful professional career. Over the course of many years in business leadership, he has come to recognize that there can be a powerful and symbiotic relationship between these two seemingly paradoxical philosophies – that of business and faith. They are not meant to be mutually exclusive. He holds a BBA in Economics from the University of San Diego, an MBA with a concentration in finance from the University of Notre Dame’s Mendoza School of Business, and a Master of Arts in Catholic Theology from the Augustine Institute. John is an Owner/Operator of McDonald’s Restaurants throughout Central California, and a strategic adviser to The Dynamic Catholic Institute. He also serves on the board of Mission College Prep Catholic High School, a past board member of JMJ Maternity Homes, and strong advocate for Ronald McDonald House Charities. Brian Keith Kravec is Co-Founder and Executive Director of Possibility Productions, a 501(c)(3) Public Charity faith event apostolate, in service to the Body of Christ in the spirit of the New Evangelization. Brian is a cradle Catholic, husband and father who recently retired from a twenty-five year career as a California Correctional Peace Officer. He serves the Roman Catholic Diocese of Fresno on the Board of Directors for KNXT Catholic Television. Brian is a contributing writer for CatholicMom.com founded by bestselling author, Lisa Hendey. For nearly twenty years, as the volunteer Steward of St. Patrick’s Faith Event Ministry, Brian has produced, promoted and executed exceptional faith-based conferences, concerts and speaking events for his local parish and the greater Central Valley community featuring nationally and internationally renowned Christian artists, authors and evangelists. Brian is a 4th degree member of the Knights of Columbus. He and his wife are consecrated members of the Militia Immaculata, a worldwide evangelization movement founded by St. Maximillian Kolbe in 1917 that encourages total consecration to the Blessed Virgin Mary as a means of spiritual renewal for individuals and society. Adrian “Ace” Cisneros is a seminarian studying to become a priest for the Diocese of Stockton. He studies at St. Patrick’s Seminary in Menlo Park, Ca. and is currently on his Pastoral Year (internship) at St. Stanislaus Catholic Community in Modesto, Ca. where he is learning more about the life of a priest in a parish setting by both observation of and involvement in parish ministries. Adrian was born in Stockton and raised in Lodi. His home parish is St. Anne’s Church in Lodi. Before entering seminary, Adrian studied horticulture at Cal Poly San Luis Obispo then worked at a design/install landscape company in the Bay Area. From there he went on to be a Risk Manager at the University of the Pacific. Adrian also grew up in the restaurant business, with his parents and grandparents each having their own businesses for decades. With an ordained deacon as a dad, Adrian will talk a little about how he learned to incorporate his Catholic faith into his daily life in both business and the workplace. Deacon Tom Broderick is retired and lives with his wife, Alfa, in Modesto, California near Our Lady of Fatima Parish. Tom spent 31 years working for Stanislaus County in Community Serves as a manager of Food Stamps, General Assistance, and Program Appeals Units. Both Tom and Alfa were recognized by the Modesto Peace Life Center for 35 years of commitment to grass-roots social justice issues in Stanislaus County. They have three adult sons, and four grandsons. Tom is a Roman Catholic deacon for the Diocese of Stockton since 1981. He has also served as the chair of the diocesan Ecumenical Commission, a member of the Catholic Charities Board; and taught in the Adult School of Ministries including in the diocese’s on-site University of New Orleans-Loyola masters degree program. He has served as a volunteer at the Hughson site United Samaritans Daily Bread project and the Modesto Peace Life Homeless Project. He received his BA in Philosophy at Maryknoll College in Glen Ellyn, Ill and a MA in theology at Maryknoll Seminary in Ossining, NY with additional studies in Japanese at Stanford University, Palo Alto, CA, and in Liturgy at St. Vladimir’s Seminary in Crestwood, NY. He will share a few of the Best Kept Secrets of Our Catholic Faith. Fifth Bishop of Stockton, former president of the California Catholic Conference and current Chair of the USCCB Committee on Domestic Justice, Peace and Human Development. Bishop Blaire was invited to be a member of the Colloquium on Revitalizing Catholic Engagement on Nuclear Disarmament sponsored by Notre Dame University, held at Stanford University. Douglas Beaumont is the Director of Religious Education at St. Joseph's Catholic Church in Modesto, CA where he resides with his wife and four children. He earned a Ph.D. in Theology from North-West University and an M.A. in Christian Apologetics from Southern Evangelical Seminary where he taught Bible and Religion for ten years before converting to Catholicism. Doug has spoken coast to coast on these topics, and is the author of Evangelical Exodus: Evangelical Seminarians on the Road to Rome (Ignatius 2016), The Message Behind the Movie (Moody 2009), and has contributed to The Best Catholic Writing (Loyola 2006), and The Apologetics Study Bible for Students (B&H, 2010), and several articles in The Christian Apologetics Journal. Doug's work can be found at www.DouglasBeaumont.com. Hello! My name is Daniel Menezes and I am the new Campus Minister at Central Catholic. I am a product of Catholic education from Kindergarten through eighth grade at a Sacred Heart School in Turlock, and was made an alumnus of Central Catholic in 2012. After graduating from CCHS, I was able to serve with NET Ministries from 2012-2014! The National Evangelization Teams (NET) is a Catholic organization that invites Catholic young adults from all around the world to go out and challenge the young people in our nation to love Christ and embrace the life of the Church. I am currently a student at CSU Stanislaus and an active parishioner at Our Lady of Assumption Catholic Church in Turlock. I am excited to come back to CCHS to help students realize what great plans Our Lord has for them! As Catholic Americans, we have the dual call of faith and citizenship. Ned will provide us with information so that we are well-formed on state and federal issues and the upcoming election. He will also update us on current legislation in Sacramento and its connection to our Catholic faith. Stephen Valgos earned his Masters in Theological Study (M.T.S.) from the Franciscan School of Theology, at Berkeley. 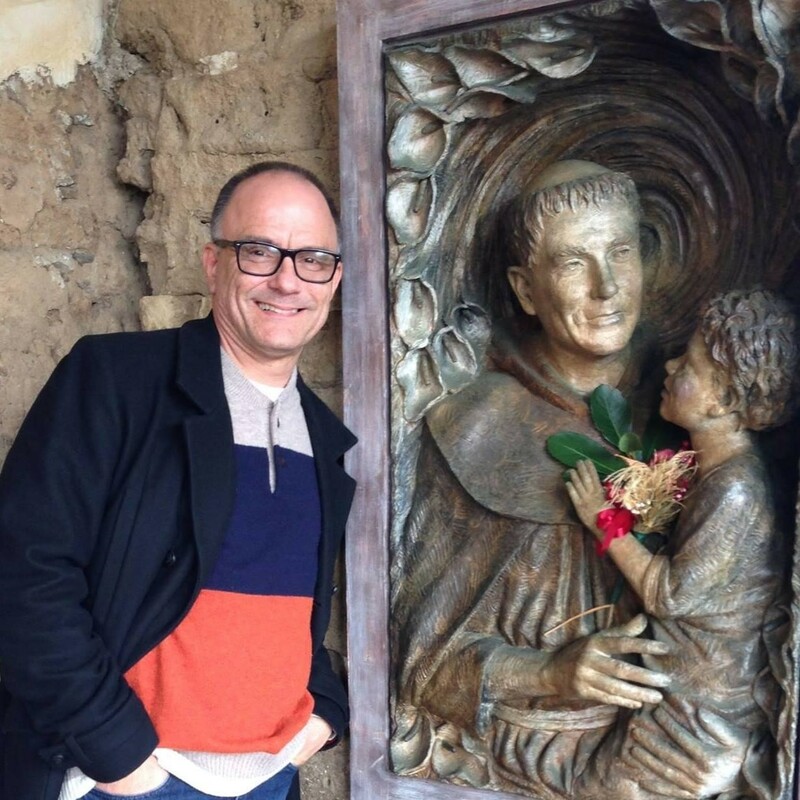 He has taught in Catholic schools and parishes for the past fourteen years and now teaches at the Stanislaus Military Academy, in Turlock, where he lives with his wife, Jill, and two sons, Mark and Luke. 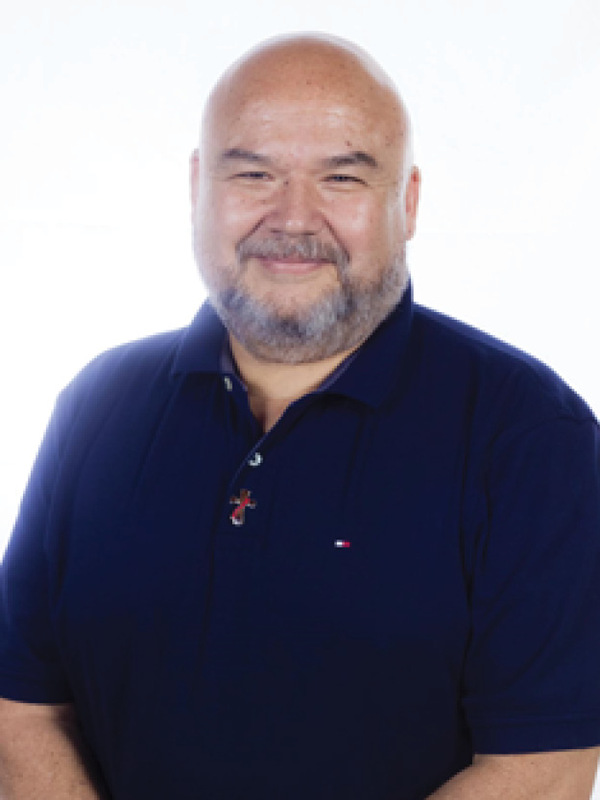 He has worked as Director of Adult Education and Evangelization, as a teacher in Catholic Schools, and as a catechist for parish confirmation programs, and holds a Master Catechetical Certification from the Diocese of Monterey. Stephen offers lectures, missions, and retreats for both youth and adults that emphasize both his love for the Church's teachings and the Sacred Scriptures. "The Journey Begins!" is the culmination of his work to introduce teachers, their students, and their student's parents to God's Sacred Word, published by St. Mary's Press. He has recently finished two Teacher's Editions for the Catholic Connections Handbook, also by Saint Mary's Press. He offers a variety talks on CD. For more information on him or his ministry, please visit his website at www.catholicevangelist.com or E-mail him at [email protected]. Born and raised in El Salvador, he graduated as a Mechanical Engineer from the Catholic University of El Salvador. He has spent his entire professional career, over 30 years, in the Applications Development side of Information Services, with the last 24 years working for E & J Gallo Winery. José received the Sacrament of Holy Orders in the Order of the Permanent Diaconate at the Cathedral of the Annunciation in Stockton in 2003. Besides his busy schedule at work, Deacon José has an active participation in the life of the Church at St. Stanislaus Catholic Community here in Modesto as well as in the Diocese of Stockton. Deacon José and his wife Margarita have been married for 33 years and, as he would say, they have been dating for 36 years. They have three children and two grandchildren. Deacon José will share his experiences in balancing life, work and faith. Peter Morelli, St. Mary's High School President since 2014 and On-field NFL Official since 1997, while formerly serving as a teacher, Vice-Principal, Dean of Boys, Principal and local and collegiate level football referee. He has officiated at numerous NFL divisional and pro-bowl championships. He is a member of numerous Catholic and athletic organizations. Peter lives in Stockton with his wife, Cindy, and has two sons, Matthew and Daniel, and a grandson, Lucca. Lane is a cradle Catholic and was raised on a dairy farm guided by his father and mother, working alongside with his 3 brothers and sister. Being part of a large family gave Lane a jump in life on how to work together with a group while working hard to get things done. For several years he operated his own business doing commercial corn and bean planting and custom farm work throughout the Central Valley covering 5,400 acres per year. In 1990 Lane obtained his real estate license followed by his Broker license in 2006 and is the Central Valley's leading Ag-Realtor in both farmland and ranch sales. He is a past board member of the Catholic Professional & Business Club, and also served on the board of Stanislaus County Farm Bureau. He is past president of the Stanislaus Farm Land Brokers, past president of Turlock Sunrise Rotary Club and he is currently active on the board of Stanislaus Farm Supply. In January 2010, Lane started giving serious consideration to the call of being a Deacon and in September 2012 with the support of his wife of 28 years and three adult children, he entered the five year Diaconate formation program for the Diocese of Stockton. Lane's core belief is that if you put faith first, you will always be "Outstanding in your field". Ned will update us on current legislation in Sacramento. You've heard her on Catholic radio and seen her on EWTN. Rose Sweet is a sparkling personality who brings heart and humor to all her presentations. Her passion is helping people live their faith in the daily details by "Putting RELIGION into RELATIONSHIPS". Her experience as a commercial real estate appraiser for 30 years will give us the prospective for both personal and professional relationships. She's authored ten books on relationship issues that include being single, dating & courtship, marriage and parenting, divorce, annulments, and how to get along with almost anyone. Her experience as a commercial real estate appraiser for 30 years will give us the prospective for both personal and professional relationships. Her work is deeply rooted in St. John Paul's "Theology of the Body" (TOB) and she has been a speaker at the annual TOB Congress and in 2015 at the World Meeting of Families. For more information go to rosesweet.com. John Surla, Executive Chef/Owner of Surla's in Modesto and a parishioner at St. Joseph's, developed his passion for cooking at the young age of 5 years old. The first dish my mom taught me was Fried Rice. Watching countless hours of Yan Can Cook and Julia Child was a big inspiration to be a Chef. My mothers family originates from the Philippines and are all very good cooks from San Vicente, Pampanga. Chef Surla received his formal training at Diablo Valley College in Pleasant Hill, California, under the direction of Chef Nader Sharkes, where he achieved his Culinary, Restaurant Management, and Baking/Patisserie Certificates which are all ACF certified. Also has attended Professional Development Classes at the Culinary Institute of America in St. Helena, California to hone his skills in the kitchen. 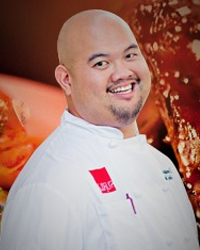 His culinary background includes such restaurants as Tourelle Restaurant/Lafayette, Skywalker Ranch/Nicasio, Servino Ristorante/Tiburon, Blackhawk Grilled/Danville, Robert Mondavi Winery/Disney's California Adventure/Anahiem, and Galletto Ristorante/Modesto. Chef John has worked for renowned Chefs such as Stephen Silva/Melons Catering, Arnold Pulido/Va di Vie, and Rainer Schwarz/Roosevelt Hotel. Chef John spends his time helping non-profit groups such as the Center for Human Services, Central West Ballet, Doctors Medical Foundation, Children's Crisis Center, Central Catholics Bash, St. Theater, Sierra Vista Kids, and other local groups in Modesto. At 34, Chef John has finally reached his dream of owning his own restaurant and sharing the harmony for his love of food and wine. As a chef, I couldn't ask for a better place to open Surla's! Modesto is the area I've grown to know and love and I can't emphasize enough how fortunate we are to have so much local produce available! John Sablan has over 21 years of management experience with six of those years in operations management and 15 in technology management. He holds a B.S. in Computer Information Systems and a MBA (both from CSU Stanislaus) and is currently working on his MA in Theology at Augustine Institute. A late revert to the faith, John is on fire for Jesus Christ and His Church and believes that no matter where you are in life, God wants to take you even further. An IT Executive by day, John subscribes to being a saint right where you are (JoseMaria Escriva) and sees every task, project, encounter as an opportunity to bring glory to God. He feels that if every Catholic lived out their faith in every aspect, the workplace let alone the world would be a much different place. On top of his full time job in technology, John is also the RCIA coordinator at St. Joseph's, a member of the Catholic Speakers Association, founder of the World Ablaze apostolate (www.world-ablaze.com) a Third Order Dominican and currently in the permanent diaconate formation process. John's greatest gifts in life are his faith, his beautiful wife Nichole, and their three precious children Brya, Keoni and Miko. Mrs. Christine Watkins is an inspirational speaker and author, who holds a Master's degree in Theological Studies from the Jesuit School of Theology at the Graduate Theological Union and a Master's degree in Social Welfare from U.C. Berkeley's School of Social Welfare. She is trained in Ignatian spirituality and discernment, with twenty years' experience as a spiritual director, licensed counselor, retreat leader, and parish mission preacher. Ms. Watkins hosted the program, "What Next, God? Discerning His Will in Your Life" on Radio Maria, was featured on the Focus Television Network, interviewed for ABC Nightline's Marian special, "The Miracle Mysteries," and produced and hosted the show, "Ties of Faith," for Shalom World Television. Before her conversion, she danced professionally with the San Francisco Ballet Company. Ms. Watkins is the author of Full of Grace: Miraculous Stories of Healing and Conversion through Mary's Intercession, published by Ave Maria Press. She currently lives in California with her husband and two sons. As a frequently misunderstood and sometimes feared sacrament, Confession (also called the Sacrament of Reconciliation) is often overlooked and neglected. Yet is the greatest gift God has given humanity next to the Holy Mass. Come discover or rediscover this most powerful sacrament and how it can transform us and even our days at work. WiL Frey is the father of eight children and a convert to the Catholic faith. He has been teaching science for the past 18 years, and currently teaches at Waterford high school as well as online at Kolbe Academy. In 2014, WiL was named as the Stanislaus County High School teacher of the year. Outside of home and the classroom, WiL leads worship at St. Joseph's Catholic Church in Modesto each Sunday, and helps to lead a children's adoration hour on first Fridays of each month. Since 1997, Mr. Dolejsi has served as the first lay Executive Director of the California Catholic Conference, the public policy arm of the Catholic Bishops of California. As Director, he leads a staff of 10 in implementing the public policy agenda for the 25 California archbishops on a wide variety of health, economic, social service and educational issues, laws, and regulations at both the state and federal levels. From 1988 to 1997, Mr. Dolejsi fulfilled a similar role for the Catholic Church in the state of Washington as Executive Director of the Washington State Catholic Conference. Edward (Ned) Dolejsi is a member of the St. Joseph Health Ministry, the sponsor of the St. Joseph Health System. He also is a member of the St Joseph Health System Board. Mr. Dolejsi also held several posts with the Archdiocese of Seattle, as Director of the Department of Community Development; the Office of Campus and Young Adult Ministry; Office of Youth Ministry; and the CYO (Catholic Youth Organization) and Camping Office. Earlier in his career, Mr. Dolejsi was a teacher at Blanchet High School in Seattle, and Director of Religious Education at St. Catherine Parish, also in Seattle. He also co-founded the Channel program in the Seattle Archdiocese, a leadership formation program for young adult Catholics considering church ministry as a career. Mr. Dolejsi received a B.A. degree in English from Iona College in New Rochelle, New York, with a minor in education and theology. He has attended the University of Washington, Seattle University and Fresno State University in California for graduate studies in educational curriculum, anthropology and sociology. Before beginning his career in education and public policy, Mr. Dolejsi entered the Peace Corps, serving as an agricultural volunteer in Iran and an agricultural recruiter for California, Arizona and Hawaii. Mr. Dolejsi has extensive volunteer experience and is or has been an active member of the board of many Catholic organizations, including the Board of Directors of the Sisters of Providence Health System, the Catholic Health Association, the Leadership Roundtable Institute, Catholic Charities of California, and the National Association of State Catholic Conference Directors. Mr. Dolejsi is also chair of the State Advisory Committee on Institutional Religion supporting chaplains in state facilities. He has received the Papal Award of Knight Commander of St. Gregory for his international and national service to the Church. In addition, Mr. Dolejsi has an Honorary Doctorate from Dominican School of Philosophy and Theology in Berkeley and is a Fellow of the school. Mr. Dolejsi is married to Colleen Branagan. Together they have six sons. If you wanted to change the world for Jesus Christ and his Church, where would you start? Grace DelNero works for FOCUS, the Fellowship of Catholic University Students, because she believes that the college campus is the most strategic place to make a difference. As a collegiate athlete, Grace knows firsthand about the challenges college students face and the radical need for saints in our culture today. FOCUS currently has over 425 full-time missionaries working on 100 campuses across the country, including 6 campuses in California! FOCUS' Main Thing is "Inviting college students into a growing relationship with Jesus Christ and His Church. Inspiring and equipping them for a lifetime of Christ-centered evangelization, discipleship, and friendship in which they lead others to do the same." By reaching this critical generation of leaders, we have the ability to impact all areas of the culture from law to education, business and family life! 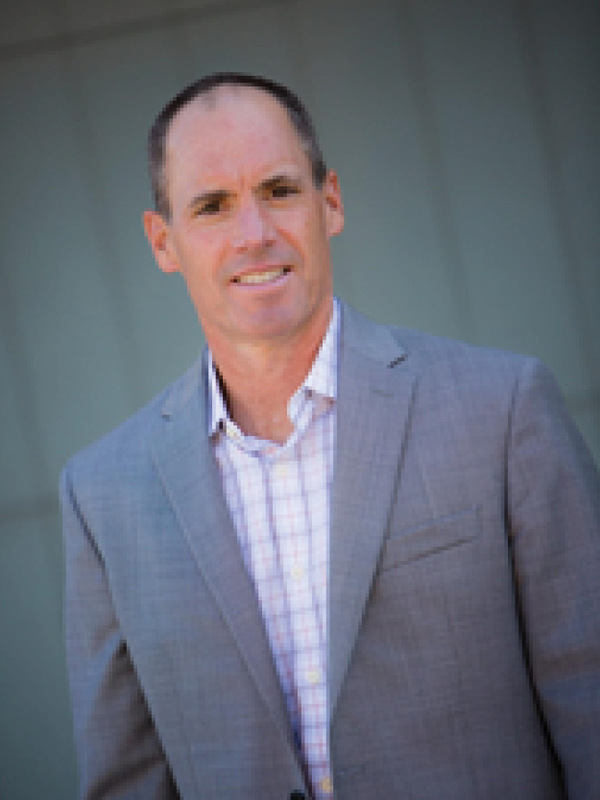 Steve Urgo is the founder of Ascot Innovation, a business consulting company based in Modesto, CA. He also serves as Vice President of Business Development for Race Pro Products, a manufacturer and distributor of petroleum-based automotive lubricants. Steve brings 40+ years of experience in a variety of industries and selling environments. This includes the food industry where he completed nearly 30 years of service with Save Mart Supermarkets. In his tenure in the food industry, Steve functioned in a multitude of capacities including Accounting, Advertising, Sales, Marketing, Operations, Procurement, and Project Management. As a Brand Manager, Steve led the development and supervision of Save Mart's private label program which included the Sunny Select and Sunnyside Farms family of products. His latest company project is Ascot Innovation. Ascot is a unique business undertaking that attempts to merge the trinity of faith-based business, entrepreneurial vision, and process engineering. Steve has served as a board member for our local Community Hospice organization where he served two terms as Foundation Board President. And, although Steve is off due to medical reasons, he serves has a Chaplain for the Stanislaus County Sherriff's Department. He and his family are parishioners of St. Joseph's and he serves on the parishes' Development Committee. Steve is married to his wife, Tena (Tina), and they have three children - Rick, Michael, and Katelin. Steve's youngest daughter, Katelin, is a senior at Central Catholic High School and serves on the Senior Ministry Team. In his off time, Steve enjoys golfing, motorcycling, and travel. Former president of the California Catholic Conference and current Chair of the USCCB Committee on Domestic Justice, Peace and Human Development. Bishop Blaire will travel to the Holy Land in September. Today, Bishop Blaire will have reflections from the Bishops' Pilgrimage for Peace to Israel and Palestine. Gary Nelson was born in Modesto, graduating from Thomas Downey High School and California State University at Stanislaus in 1982. He received his law degree from McGeorge School of Law in Sacramento in 1985, and has practiced law in Modesto for over 28 years, specializing in Workers' Compensation, Personal Injury and Social Security Disability. He converted to the Catholic Church in 2003 and was received into full communion at the Easter Vigil in 2005. He has spent the last eight years teaching RCIA, as well as presenting Bible studies and the Catechism of The Catholic Church to St. Joseph's parishioners, as well as holding the current Chair of the Pastoral Council at St. Joseph's. Other community commitments include the Modesto Entertainment Commission where he is current Chair and he is a board member of St. Luke's Family Practice. He and his wife of 25 years, Sharilyn, live in Modesto, working feverishly to finance the lavish lifestyles of their two children, Ali and Max, who live in Hermosa Beach, California. For fun, Gary plays music with his band, Third Party, which donates the proceeds of their musical events to local charities. The rest of the time, he reads a lot about the Catholic Church and tries to apply the teachings to his everyday life and profession. That is a work in progress. Lauren Gulde is a writer, speaker, designer, wife and mother from College Station, TX. Lauren owns her own web and graphic design studio, Santa Clara Design. Lauren is a convert to the Catholic Church, a '97 graduate of Texas A&M University. She founded the Coalition for Life in 1998 at the age of twenty-two, which lead to the formation of the 40 Day for Life Campaign. She is currently working with Abby Johnson, former Bryan Planned Parenthood Director turned pro-life advocate, to open the first maternity home for pregnant women in need in Bryan/College Station Texas. Lauren and her husband Curt enjoy spending time with their four children - reading good books, watching John Wayne movies, playing various musical instruments and hiking. Former president of the California Catholic Conference and current Chair of the USCCB Committee on Domestic Justice, Peace and Human Development. Bishop Blaire was invited to be a member of the Colloquium on Revitalizing Catholic Engagement on Nuclear Disarmament sponsored by Notre Dame University, held at Stanford University. Today, Bishop Blaire will speak on Nuclear Disarmament from a Bishop's Perspective. Duncan settled his family down in Modesto in the late 1970s. As a teenager, he attended Central Catholic High School, and then earned business degrees from MJC and CSU Stanislaus. It was while doing a report for a marketing class at CSU Stanislaus in the early 1980s that he found his life's work... hospitality! Duncan has worked in the hospitality industry all his life starting with the SOS Club, Holiday Inn, Modesto, then moved to Alabama and Georgia to run hotels at the early age of 23. After returning to Modesto he worked for Dan Costa's restaurants and the Fruit Yard before being recruited for the opening team of the Red Lion Hotel, currently the Doubletree. His experience there along with his reputation in the hospitality industry in Modesto landed him his dream job as COO/GM of Del Rio Country Club where he has been for the past 22 years. From day one, serving members has been his top priority, from the position's first hurdle - revamping food and beverage services to whatever new challenge he would face tomorrow. He had to learn and grow in the position, but never lost sight of providing personal, direct service to the membership. The attitude is always; "the answer is yes, now what's the question?" The same response he believes God wants him to give in his personal relationship with Him. Duncan knows the blessings and talents in which he possesses are all gifts from God and gifts he should use to glorify him in his words, actions and thoughts. Lisa M. Hendey is the founder and editor of CatholicMom.com and the best selling author of The Grace of Yes and The Handbook for Catholic Moms. She hosts the "Catholic Moments" podcast and appears regularly as a host on KNXT television. Hendey is a technology contributor for EWTN's SonRise Morning Show and a regular guest on CatholicTV. She is a columnist for Patheos Catholic Channel, Catholic News Agency, and the Integrated Catholic Life, and her articles have appeared in National Catholic Register and Our Sunday Visitor. She gives frequent workshops on faith, family, and Catholic new media topics and her schedule has included the Los Angeles Religious Education Congress, Catholic Marketing Network, the University of Dallas Ministry Conference, and the National Council of Catholic Women. In 2013, Lisa was chosen as an Egan Journalism Fellow by Catholic Relief Services (CRS) to travel to Rwanda. Hendey resides in Fresno, California, with her family. In May, she will speak of her experiences traveling as a journalist to Rwanda, the use of social media to promote the New Evangelization and share life lessons relevant to members of the CP&BC. Annette Murdaca is a third generation member of the Vaccarezza family who was in the family business of waste removal and recycling at California Waste Removal Systems in Lodi. She joined the family business full time in 1985 after 12 years as a legal secretary. She started out in the company as the Public Awareness Coordinator, and worked her way up to Vice-President of Administration and Finance where she was instrumental in putting together bond financing for over $10 million. After the business merged with Waste Management, she became an outside consultant and retired in 2000. She then went to work in her husband's family restaurant of 28 years - Pietro's Trattoria in Lodi. In 1998, she and her husband Jim Murdaca formed the The Vaccarezza-Murdaca Family Foundation and helped build Lodi House Shelter for women. In 2003, she assisted in raising funds for the building of the 24 hour Women's Shelter at Salvation Army Hope Harbor. The Foundation was formed for the purpose of providing food, shelter and other items for those who are less fortunate and may be suffering financially as well as providing educational scholarships. She and her husband are dedicated to "feed the hungry and educate the young, so that all God's children can find comfort and care." She is involved with many community and Catholic organizations and the recipient of numerous awards and recognition, most recently receiving the 2013 Ruby Award - Women Helping Women from Soroptimist International. Karin Hennings graduated from UC Davis with a BA in Organizational Studies, the University of Exeter in England with a Certificate in Egyptology, and most recently from Regis University in Denver, CO with an MBA in Health Systems Management. She worked from 2004 to 2010 at St. Joseph's Catholic Church and from 2010 to the present with the good folks at St. Luke's Family Practice (SLFP). As their Executive Director and Practice Administrator, Karin worked to find ways to make health care more accessible and affordable for the uninsured. Karin lives in Modesto with her two teenage children and spends family time with her four brothers and sisters and their extended families. Karin will speak on practical aspects of the Affordable Care Act for our families, businesses, and neighbors. Executive Director of the California Catholic Conference, the public policy arm of the Catholic Bishops of California. As Director, he leads a staff of 10 in implementing the public policy agenda for the 25 California archbishops on a wide variety of health, economic, social service and educational issues, laws, and regulations at both the state and federal levels. Born and raised in El Salvador, he graduated as a Mechanical Engineer from the Catholic University of El Salvador. He has spent his entire professional career, over 30 years, in the Applications Development side of Information Services, with the last 22 years working for E & J Gallo Winery. José received the Sacrament of Holy Orders in the Order of the Permanent Diaconate at the Cathedral of the Annunciation in Stockton in 2003. Besides his busy schedule at work, Deacon José has an active participation in the life of the Church at St. Stanislaus Catholic Community here in Modesto as well as in the Diocese of Stockton. Deacon José and his wife Margarita have been married for 31 years and, as he would say, they have been dating for 36 years. They have three children and one grandchild. Deacon José will share his experiences in balancing life, work and faith, as well as his experience during the recent World Youth Day in Rio de Janeiro, Brazil. This month's speaker, Nick Blom, former Stanislaus County Supervisor, local farmer, and has served on multiple Catholic Church and community boards and committees. He and his wife, Els, were recently recognized by the Diocese of Stockton for their lifetime of service as recipients of the 2013 Bishops Awards. Brian is cradle Catholic, husband and father. He's a prison guard who has spent the last 24 years working nose-to-nose with some of the most violent and historically infamous men and women incarcerated within the maximum-security confines of the California Department of Corrections. You'll laugh and cry when Brian shares his testimony of integrating work and faith in "the belly of the beast." He is a 4th degree member of the Knights of Columbus. Brian is also a contributing writer for CatholicMom.com and serves his parish community by planning and promoting faith events bringing some of the best Catholic authors, speakers and performing artists to the Central Valley. Brian and his wife are consecrated members of the Militia Immaculata. The Militia of the Immaculata (MI) is a worldwide evangelization movement founded by St. Maximilian Kolbe in 1917 that encourages total consecration to the Blessed Virgin Mary as a means of spiritual renewal for individuals and society. For more information on the MI and total consecration please go to www.consecration.com. Michael Nader is a California lawyer and expert in Employment Law. He earned his law degree from the Notre Dame Law School, where he also served as the Editor-in-Chief of the Notre Dame Journal of Law, Ethics & Public Policy. He also earned a Master of Laws degree at Notre Dame's Center for Civil and Human Rights, where he completed a thesis on the relationship of Catholic Social Teaching on the Spirituality of Work. After his graduate studies, Michael presented papers on Catholic Social Thought at international conferences in Regensburg, Germany, and in Rome, Italy. He also studied the thought of John Paul II in Krakow, Poland. Michael has clerked for federal trial and appellate court judges, and has worked in large corporate law firms, rising to the level of Shareholder before accepting his current in-house position. He has made presentations on the Spirituality of Work to Catholic Professional and Business Clubs in San Francisco, San Jose, Oakland, and Sacramento, as well as to students at St. Patrick's Seminary in Menlo Park. Michael recently appeared on the Catholic Business Hour radio show on EWTN's nationwide radio network. Today, Michael will speak on what he calls the "Catholic Work Ethic." Lisa M. Hendey is the founder and editor of CatholicMom.com and the bestselling author of The Handbook for Catholic Moms and A Book of Saints for Catholic Moms. She hosts the weekly "Catholic Moments" podcast and Catholic Mom television show. Hendey is a technology contributor for EWTN's SonRise Morning Show and a regular guest on Relevant Radio's On Call afternoon show. She is a columnist for Faith & Family, Catholic News Agency, and Catholic Exchange, and her articles have appeared in National Catholic Register and Our Sunday Visitor. She gives frequent workshops on faith, family, and Catholic new media topics and her schedule has included the Los Angeles Religious Education Congress, Catholic Marketing Network, the University of Dallas Ministry Conference, and the National Council of Catholic Women. Hendey resides in Fresno, California, with her family. Joe Condit is from a big Catholic family and grew up in Cincinnati, Ohio where he attended an all boys Catholic high school then went on to graduate from Miami University. A pure entrepreneur, he has founded and been involved in 8 companies, currently owning 5. His most valued pride and joy is his apostolate and brainchild, CMG Booking which is a company dedicated to helping people from all over the world find and book great Catholic Speakers. March 12, 2013: Theresa Deisher, Ph.D.
Theresa Deisher, Ph.D., Founder, President, and Chief Scientific Officer, is a world renowned scientist in the field of regenerative medicine. Dr. Deisher has 22 issued US patents in her name, which have already generated a total of at least $100M in revenue. Several of her inventions are currently in clinical trials. Prior to founding AVM, Dr. Deisher worked as a Research Scientist at Repligen; Sr. Scientist, Cardiovascular Biology at ZymoGenetics; Sr. Staff Scientist, Vascular Biology at Immunex; Principal Scientist at Amgen; and Vice President of Cellcyte Genetics. She was the first person world-wide to identify and patent stem cells from the adult heart, including what are now called "very small embryonic-like stem cells," and also is a patented inventor of the most potent mesenchymal growth factor ever identified, as well as of the use of cytokines to mobilize adult embryonic-like cells. Dr. Deisher graduated with honors and distinction from Stanford University, and obtained her Ph.D. in Molecular and Cellular Physiology from Stanford University. Click here to read the press release about AVM Biotechnology LLC. Click here to visit the AVM Biotechnology LLC website. In 1997, after 12 years as a successful college recruiter and public speaker, Vera Faith Lord left the world to become a different kind of public speaker --- showing the world the devastation of abortion and its after-effects. In her Own words: "I am truly blessed. God has entrusted me with a profoundly effective message. Through that message, He has changed hearts and minds and saved lives. I have pledged the rest of my time here on Earth to looking behind that politically correct door they call choice and revealing abortions true face to the world! No audience is too large or too small, and no place is too far to travel. I am about my father's business and the world will know the truth." Sean Patrick Bloomfield is an award-winning filmmaker and good Catholic devoted to his Faith and love for God. His latest documentary that he produced with bestselling author Immaculee Ilibagiza, titled "If Only We Had Listened" details the apparitions of Kibeho, Rwanda. Sean's film brings the viewer into the shoes of Imacculee showing the unbelievable challenges she was forced to face and overcome. His depiction of her journey and terrifying experience is as wonderful as the faith and hope Immaculee had in God to get her through it. Sean's work has appeared on The History Channel, Fox News, PBS and other internationl television stations. Esteemed clients of Sean Bloomfield include Rilon Management, R.L. Lewis Art, Prestige Properties, Centennial Development and more. Sean Bloomfield specializes in creating documentary videos. He has produced a wide range of films, including a powerfuil series about Medjugorje and other modern-day miracles, and his work has taken him all around the world. He is a a perfect option for any event to book him for a film showing and speech, with or without Immaculee.